Kate Middleton stepped out for the first time since she gave birth to Prince George in July to hit the local supermarket in Anglesey. The Duchess of Cambridge looked radiant as she pushed a trolley full of shopping (no doubt stocking up on nappies for the newest and cutest royal), wearing a black and white striped Breton top from Ralph Lauren, Paige Denim black skinny jeans and beige suede Sebago boat shoes. She finished off her low-key outfit with a high ponytail and oversized Givenchy shades worn on her head. 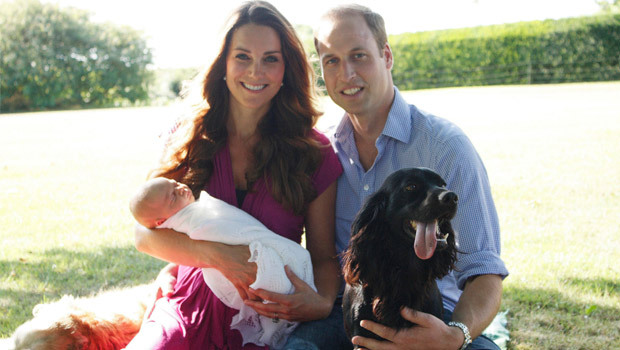 The family have been staying in Anglesey, where Prince William has been based as an RAF pilot since 2009, after initially taking the newborn Prince George to Kate’s family home in Bucklebury. The trio are scheduled to leave the island next month. 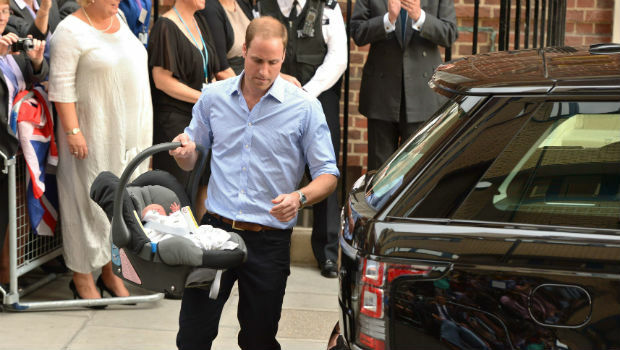 New parents Kate and Will seem to be adjusting beautifully to their roles as mum and dad, and just last week, Prince William publically thanked the people of Anglesey for all of their support. ‘I thought search and rescue duties over Snowdonia were physically and mentally demanding but looking after a three-week old baby is right up there,’ he told the crowd at the island’s annual agricultural show. As for Kate, motherhood isn’t cramping her chic style – her pink knot-front family portrait dress from Seraphine sold out in just two hours. How long do you give this street style look? First pics of Prince George!